Media predictions 2016 – what was right and what was wrong? Time for me to mark my own homework again. 12 months ago I made some predictions for 2016. How on point do they look at the end of the year? If you’re under 25 you are almost as likely to use an ad-blocker as not. One report, published in the summer, suggests a 90% jump in ad-blocking on mobile devices in the past year alone. That said, mobile network Three seems to have gone luke-warm on its plan to introduce automatic ad-blocking for all consumers. As I argued last year, this is all about user experience. If users feel ad blockers cut data usage, improve page delivery speeds and kill off ultra-intrusive formats such as splash screens, they will vote with their feet. There are some signs of progress in the ad industry. But companies need to move faster to tackle what is a potentially existential threat. Once an ad-blocker is installed, what incentive is there to remove it? Appeals to logic are not sufficient. I teach undergraduate journalism students. Rough in class surveys suggest that most of them use ad-blockers and none of them pay for news, but they still want to work in an industry being strangled by a lack of digital revenues. I’d say this prediction was correct. Would it be distribution or destination in 2016? Not much doubt the resounding answer was distribution. The old adage that you should be where you customers are, held true again. But the underlying financial weakness of this as a business strategy has been shown again and again. Buzzfeed and NowThis are both heavily invested in a distributed content strategy. They’re both huge content farms that appear to make essentially no money from distributed content but use it as an advert for their branded content businesses. Both companies also continue to attract significant VC investment. But is this a sustainable business strategy or are the disrupters at risk of being disrupted? It’s not yet clear but should the financial outlook turn chilly in 2017, things may come more sharply into focus. The question in the prediction was right – whether it was the right answer though is debatable. More innovation was on show in 2016. The Washington Post demonstrated there’s still some life in newspapers. And there was a lot of talk about VR and immersive video. Not least at The Guardian. But there’s still a long way to go to make it deliver as a story-telling medium. Have newsrooms really embraced innovation? There are some examples of progress. For the most part, though, the answer seems to be to keep doing what they’ve always done while incrementally changing. That’s hardly a surprise. But disappointing nonetheless. It’s been a tough year for Twitter. Shares tanked after a failed sale over the summer. And costs are running so high it’s losing $500 million a year on revenues of $2 billion. Its active monthly user base appears maxed out at circa 300 million. And it has a terrible reputation for trolling, misogyny, and racist abuse. Twitter is going to have to change to continue to exist – there can’t be a standstill point here – without change it will decline and die. No company can survive for long on flatline growth and losses of hundreds of millions. And those of us who love it will have to hope that its charm and vibrancy isn’t destroyed in the process. It has been another great year for TV news content. Huge stories and amazing, brave and fascinating reporting. But the slow decline of the medium continues. As a fascinating report for the Reuters Institute for Journalism by Professor Richard Sambrook showed, a sustained decline of 3-4% in audience per year is comparable to those seen by newspapers a decade ago. And the inexorable rise of on-demand programming shows that linear programming is, at least in the long-run, dead. The BBC News Channel may have survived the latest cuts – at least for now – but TV news is in long term decline. That doesn’t mean everything ends tomorrow. But editors need to think hard about what the netflix of TV news looks like, even as disruptors like Vice move into the linear space. 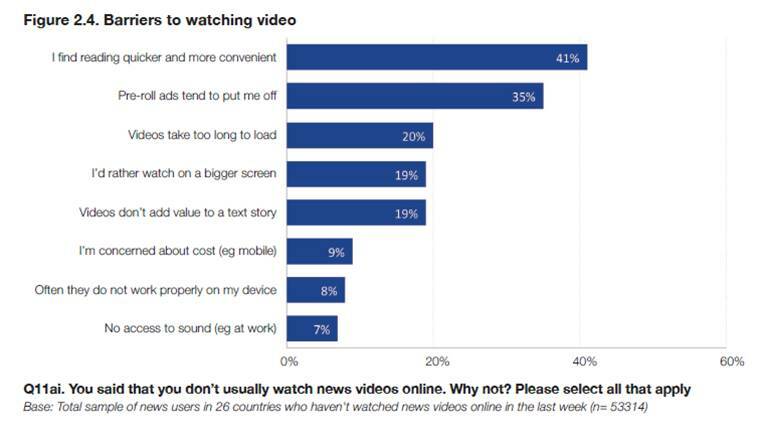 We know that traditional TV packaging doesn’t work well in social news. Can a lean-back experience deliver where a smartphone based approach won’t? A tough nut to crack but one that I hope will be solved in the coming years. So I make that three and a half out of five. Thoughts for 2017 will be coming shortly. Author Matt WalshPosted on December 28, 2016 December 28, 2016 Categories Year in ReviewTags Ad blocker, Distributed content, Mobile, Reuters Institute, Richard Sambrook, Social news, TV news, TwitterLeave a comment on Media predictions 2016 – what was right and what was wrong? It’s December and it is time to take a look back at this year’s most read stories on my blog. Up at the top is always the generic homepage – that doesn’t tell me much so I’ll drop down to the specific stories people read. Once again at the top of the leaderboard is 2014’s post about John Oliver quitting The Daily Show and how I set-up The Bugle podcast with him and Andy Zaltzman when I was head of multimedia at The Times. This year’s predictions for the year ahead was the second most read item. In September I took a sceptical look at a report into how much the BBC was paying its journalists. And fifth was a look at some of the fake news about journalism spread in the wake of the Brussels attacks. Twitter, search and Facebook were the most common referrers. Facebook always surprises me as I don’t post blogs to Facebook but presumably readers share articles there. Linkedin also put in a showing – although I doubt some of the figures. Linkedin always claims a far higher click-through rate than WordPress records arrivals. Search terms on Google are usually encrypted these days so there’s little of interest in what has been recorded. Usually just a variation of my name and a topic. Traffic by country tended to be predominantly the UK, the US and Australia. But with a smattering of places where I’ve done international work over the past year such as India. In terms of total traffic, 2016 was approximately on par with 2015. 2014 remains the most active year in terms of postings, impressions and visitors. The main driver was the John Oliver story being shared by Andy Zaltzman and Bugle fans sharing it on social media and reposting it to fan-sites. 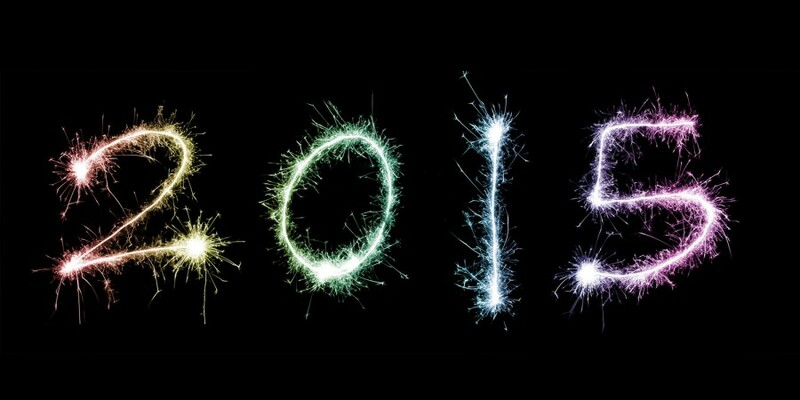 2015: my five predictions for the media year ahead. Having started this blog in 2014 with a series of predictions, it seems sensible to keep up the tradition. You can see how successful I think last year’s were here. Naturally, predicting the future inevitably means egg on the face for those foolish enough to try it but I’ll give it a shot anyway. There’s nothing like success to breed imitation and Serial, the podcast investigation of a murder case and trial has been a phenomenal success. Sarah Koenig’s drawn out story seems to have been averaging around a million and a half downloads an episode. It would be wrong to say that this came out of nowhere; Serial’s an off-shoot of the brilliant This American Life on NPR. But these are big numbers. Podcasting’s been around for more than a decade now . When it first began it promised a new multimedia future for print products and I’ve written elsewhere about my efforts as a podcast producer, including setting up The Bugle. But for much of its history, podcasting has been the unloved child of multimedia content. It was quickly eclipsed by online video. I remember going to a strategy meeting at The Times at the tail end of 2006 and being asked about my plans for a new slate of podcast products for 2007, and causing consternation by saying podcasting was over – it was now all about online video. Well, maybe I wrote podcasts off to soon. But the success of Serial shows once again that overnight success rarely happens overnight. You need to support teams and products over the long-term and give producers the space to fail as well succeed. And a long-term commitment means strong nerves and resilience as you wait to see a return on your investment. It means allocating hard pressed resources in the face of budget pressures. It also means learning lessons from competitors and using the medium to the full. And it puts story-telling back at the heart of audio journalism. Some commentators have said that Serial is unlike anything else out there. I’m not sure that’s true. It feels very American to me and very much a child of its NPR roots. But it is true to say that it doesn’t sound like anything on British radio or newspaper sites. Be assured that’s about to change. In the same way that Snowfall led to a rash of imitations, Serial is about to get some inferior but heavily promoted competition. And its pick-up by BBC Radio 4 Extra means that Serial inspired documentaries are likely to feature heavily in this spring’s Radio 4 Commissioning Round. But now podcasts are back, shouldn’t they be called something new with the announcement that Apple is killing off the iPod Classic? It’s long been a truism about digital that TV hasn’t made the most of new formats and mechanisms for securing the audience of the future. To begin with dial-up and slow broadband connections meant that the experience for web video was so poor, TV companies felt able to dismiss the new upstart medium as having an irredeemably poor user experience. That’s all over now. The exponential increase in broadband speeds has allowed a TV-like experience to be delivered by a new generation of suppliers. Up until now that’s meant platform owners such as Netflix or YouTube have seen big benefits but there are two distinct trends in place at the moment that are changing that. Firstly, the lo-fi. The punk, just do-it, ethos of Stampy, Zoella and others has captured the imagination of a generation who appear to be less engaged with TV. This is about content makers becoming stars on new platforms and new styles of video-making. And if you’re over the age of 25, you just won’t get it. Secondly, the high-end. For example, Kevin Spacey’s House of Cards or Vice trying to corner the market in Millennial broadcast news. This is about replicating a traditional lean-back TV experience using a different delivery mechanism. The web is moving closer to a broadcast platform. Yes there’s interactivity but as Twitter has shown, it’s not essential for success. And this is post-text – or at least a staging point on the road to post-text. Back in the CB-radio-like days of the 90s and early 00s it seemed everyone would be a publisher – now it’s clear publishers and platforms will be corporates and that talent and content can be sourced from everywhere. And that is a broadcast model. And who does broadcast and high-end lean back experiences? TV companies. My guess is that 2015 is, finally, the year the TV industry fully embraces digital as an entertainment medium and not just a threat to their core business. The newspaper industry continued to show two distinct trends in 2014: the decline of print and the growth of digital. That will continue and accelerate in 2015. The industry is still drunk on digital numbers, but three, or perhaps four, clear business models are emerging. Advertising supported, subscription and advertising, and philanthropic and membership. I expect those to continue to consolidate during the next year and I also expect newspapers to continue to cut costs as the digital advertising fails to fill the hole left by the decline of print adverts. I also wonder if we might not see a return to products providing an edited bundle. While the trend towards personalised news continues, for me there remains value in seeing someone else’s take on the news. Relying on news to find you via your Twitter feed can be just too samey. Money has rushed in to new digital products. Name journalists have established new brands. Digital native producers have built successful new platforms. And some astonishing values have been put on the new players. So, will this continue through 2015? I don’t think so. The valuations look distinctly frothy to me. There’s a lot of old media money being thrown at new platforms but with money comes obligations. There’s a lot of people trying to establish market share, with no clear route to profitability. You’d think the legacy media would be sensible enough to see the warning lights here, but that’s far from guaranteed. My guess is that the content bubble will deflate this year. Probably slowly, although I wouldn’t be shocked to see a high-profile closure. And if there are any external economic shocks that degrade the advertising industry, it may be bumpy. It’s already begun, of course, but the coming UK general election will be the first fought using social media as the primary battlefield – especially if the TV debates fail to go ahead. At the last election, social media was still in the early adopter phase; now it’s mainstream and I expect all the parties to use it heavily in the run up to May. What’s less clear is what the nature of that engagement will look like. I don’t expect social media to feature a particularly positive campaign. This will be about parody, pastiche and mocking your opponents’ positions. There will be enormous amounts of half-truths, spun facts and campaigning hyperbole. Journalists will have an enormous job to do separating the fact from the fiction. Still, it was ever thus. And it’s likely to be enormous fun. Author Matt WalshPosted on January 10, 2015 Categories Digital news, Future of News, Future of the BBC, Industry moves, Newspapers, Podcasts, Political news, TV news, World news, Year in ReviewTags BBC Radio 4, Buzzfeed, Content bubble, Digital news, Ezra Klein, General Election, House of Cards, iPod, John Oliver, Kevin Spacey, Netflix, News Corp, Newspapers, NPR, online video, Podcasting, Predictions 2014, Predictions 2015, Sarah Koenig, Serial, social media, Stampy Longhead, The Bugle, This American Life, TV debates, Twitter, Vice, Vox, YouTube, Zoella3 Comments on 2015: my five predictions for the media year ahead.